Clematis vitalba is a European perennial vine introduced to the United States as an ornamental. ODA classifies clematis as a Class B noxious weed due to the significant threat it poses to native vegetation. Clematis is able to envelop entire trees, which increases the likelihood of topple during storms, and constrict native stands of shrubs. 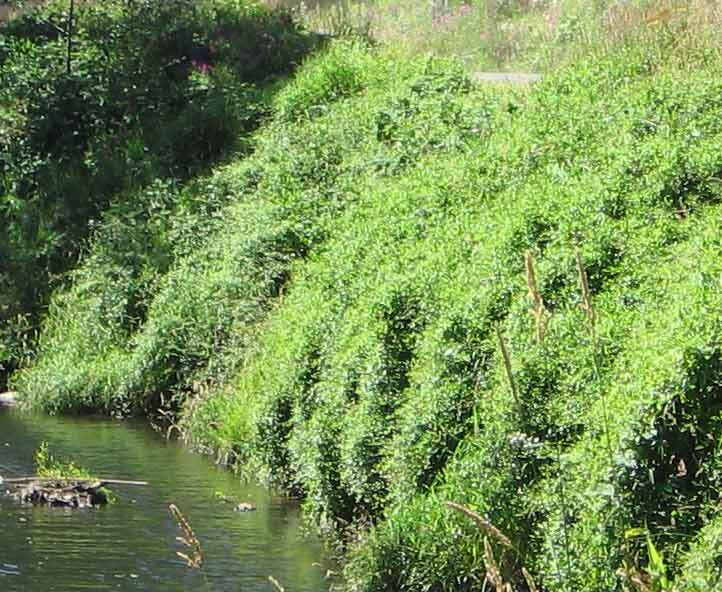 In Lincoln County, clematis is an Early Detection Rapid Response (EDRR) species and should be reported to LSWCD and the Oregon Invasives Hotline to prevent widespread establishment. The main method of clematis introduction is the wind disbursal of it's seeds. Clematis aggressively climbs any vertical object from a fence, house, bridge, or telephone pole to trees and shrubs to enhance the distance it disburses its seeds. Why is Clematis vitalba a problem? Clematis is a plant species that rapidly establishes and readily degrades habitats into a mono-culture. 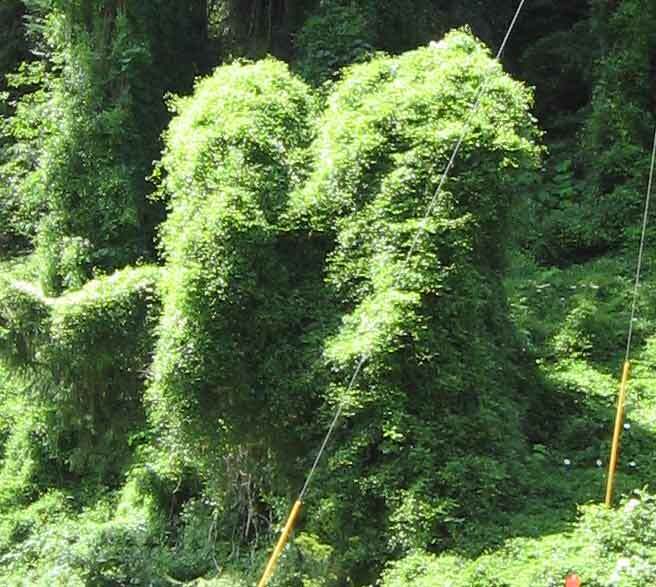 Clematis is able to create dense mats along the forest along the forest floor and engulfs trees. Clematis prevents natural regeneration of annual plants and has the ability to decompose shrub stands via smothering. The stress that the mass of clematis vines places on trees leads to tree toppling as well. The method of of eradication is dependent upon the size of infestation. Recommended control methods range from digging up roots, cutting vines, to chemical control. There are many considerations that are site specific. General methods of control are outlined in the link below. If you believe you have discovered an infestation of Clematis vitalba report it to Lincoln SWCD by email or phone at 541-265-2631.